Aspartame was once thought to be one of the greatest developments to happen to mankind. But different studies have suggested the artificial sweetener is linked to many health issues, causing many to stop using products containing aspartame. Have you tried to remove it from your life? If so, you may have experienced aspartame withdrawal symptoms. 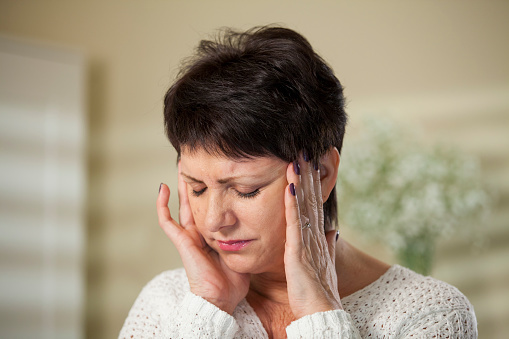 We will examine the causes of these symptoms and what you can do to avoid severe side effects. Created in 1965, aspartame received the approval of many health organizations across the world, including the Food and Drug Administration, to be used in all consumable products in the late ’80s. This low-calorie sugar substitute is used worldwide in diet soda, chewing gum, and various packaged foods. The use of aspartame has been blamed for side effects like headaches, bloating, depression, and dizziness. Studies have found aspartame is highly addictive due to the effects it has on the dopamine levels in our central nervous system. What is aspartame withdrawal? Aspartame, like other addictive substances, leads to withdrawal symptoms once our body no longer receives it. These symptoms are triggered by four major factors. Based on your individual circumstances and use of aspartame, the withdrawal will affect you differently than it will another person. If your system has been processing large quantities in your diet, you will experience more severe symptoms. Every person’s nervous system recovers differently. Any prescription or over-the-counter drugs can also have an effect on the withdrawal symptoms affecting your body. Depending on the number of months, or years, you have been using aspartame, your withdrawal symptoms may vary in quantity and severity. Think of all the products you have consumed that contain aspartame. A piece of gum averages six to eight milligrams of aspartame, while one can of soda has about 180 milligrams of aspartame. Your body may have been exposed to a very high daily dose, depending on what you consumed. The path you chose to avoid aspartame also plays a role in your withdrawal symptoms. Stopping aspartame cold turkey may plague you with cravings and lead you back to using it. This may not happen to everyone. For those dependent on the substance, it may be best to gradually decrease use with the tapering-off method. This may produce less frequent and less severe withdrawal symptoms. With aspartame containing phenylalanine, aspartic acid, and methanol, you can expect some symptoms upon stopping use, such as aspartame withdrawal joint pain. Removing these compounds can result in a decrease of dopamine levels. Withdrawal from aspartame can cause anxiety, depression, mood swings, and panic attacks. Studies show having low levels of dopamine can lead to these disorders, even for short periods of time. By removing aspartame, a dopamine-stimulating additive, you may experience mood swings from happiness to sadness. This can also lead to panic attacks, which cause thoughts of fear along with a rapid heartbeat and excessive perspiration. In the past, you may have used aspartame to satisfy a sweet craving or replace food you used to have. Your appetite may increase or decrease during withdrawal. A foggy brain may arise after quitting aspartame. Some people report an increase in stress, preventing them from concentrating on the task at hand. This is a temporary effect. There have been a few reports of hyperactivity with an increase in concentration as well. 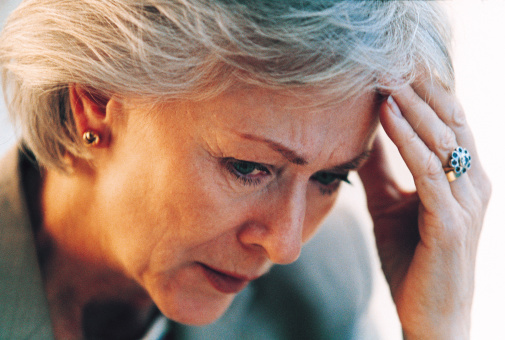 A common symptom of withdrawal for all highly addictive substances, cravings can be expected. It is believed any substance that directly affects dopamine will cause the brain to crave that substance. Whether this symptom is caused by aspartame withdrawal or by a lack of caffeine when a person stops drinking diet soda, it can be scary. You may also experience lightheadedness, which has not been scientifically proven to be directly linked to aspartame withdrawal, but has been reported. Aspartame can affect your energy levels and stopping use may leave you feeling lethargic and fatigued. A few reports claim that some people actually experience an increase in energy levels, which is why your withdrawal symptoms highly depend on your physiology. One very common symptom when withdrawing aspartame from your system is headaches. Quitting aspartame and caffeine (from diet soda) at once can lead to migraines for some people.During this time, be sure to keep hydrated and rest when pain is felt. You may also need to take pain relievers to manage this symptom. Another symptom is having trouble falling asleep, or not sleeping at all. Insomnia can occur during the first few weeks after stopping your aspartame intake and usually lasts a short time. A side effect of aspartame is a sense of calmness, so you may become restless once you halt all use of aspartame. Your brain sends signals to your body to increase dopamine levels; your body responds with the feeling of restlessness, which, like the other symptoms, is usually short-lived. Weight changes often accompany the craving symptom. You may feel hungry and reach for junk food, or you may refrain from eating. Some people lose weight after cutting aspartame since it may cause bloating. Aspartame is used by most people to lose weight, so cutting it out may cause one to regain the weight. How Long Do Aspartame Withdrawal Symptoms Last? Unfortunately, there is no timeline for withdrawal symptoms of aspartame. It’s highly dependent on the person. Various studies have shown it takes one to two weeks before the symptoms eventually disappear, while others have experienced lasting effects for up to one month. It has also been proven that some people do not experience symptoms from aspartame withdrawal. Others may experience symptoms similar to caffeine withdrawal, especially if diet soda was the source of their aspartame intake. After cutting out aspartame, it is recommended that you exercise regularly, maintain a healthy diet, increase your water intake, and get plenty of rest. 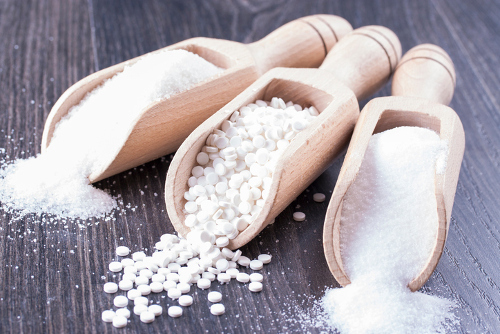 Avoid products with artificial sweeteners or even natural sweeteners. It will take time for your system to return to a state of normalcy. During your aspartame withdrawal detox, you may wonder how you can deal with the symptoms, especially the cravings. It is vital to rid your body of any toxins that are a result of aspartame poisoning. According to the MD Health web site, there is a detoxification program specifically for aspartame. We have outlined the 30-day, nine-step program below. Remove all aspartame-containing products from your diet. Read product labels to avoid having the substance added to your meals and snacks. Keep a record of any changes in your health, including symptoms. Have a toxin analysis done by submitting a sample of your hair. There are many online sites offering this service. One public health agency of the United States Department of Health and Human Services is the Agency for Toxic Substances and Disease Registry in Atlanta, Georgia. Enjoy the overall feeling of improved health and be happy. Detoxify your body by avoiding aspartame and its byproducts. Replenish nutrients lost in your diet. Recover by resting and exercising regularly. Ensure each meal consists of 75% raw food. Keep your body hydrated by drinking water throughout the day. Our quest for a healthy body can lead us to many products. Aspartame has been a controversial topic since its creation more than 50 years ago. While some research links the use of aspartame to serious health conditions such as cancer, others claim it is safe for consumption. Only you can decide what is right for your body. We have outlined the topic of aspartame withdrawal should you choose to remove this substance from your diet. Discuss any concerns about aspartame and its effects on your physical and psychological state with your doctor. “Aspartame Withdrawal Symptoms: List of Possibilities,” Mental Health Daily; http://mentalhealthdaily.com/2014/07/18/aspartame-withdrawal-symptoms-list-of-possibilities/, last accessed February 8, 2017. Cucic, A., “Aspartame Withdrawal,” Med Health Daily; http://www.medhealthdaily.com/aspartame-withdrawal/, last accessed February 8, 2017.